Give us a win fellas! Good luck to my Dodgers and to all fans a good season! PS. I might cry tomorrow being as it will be Vin Scully’s last Opening Day. I was looking forward to this matchup Kershaw versus Bumgarner. Another classic Dodger Giant game battling each other out and I wouldn’t have it any other way. Yes! I plan to attend! I remember a long time ago I took a day off to go to Hollywood when Vin Scully got his star on the Hollywood Walk of Fame. Somewhere I have the pictures I took. 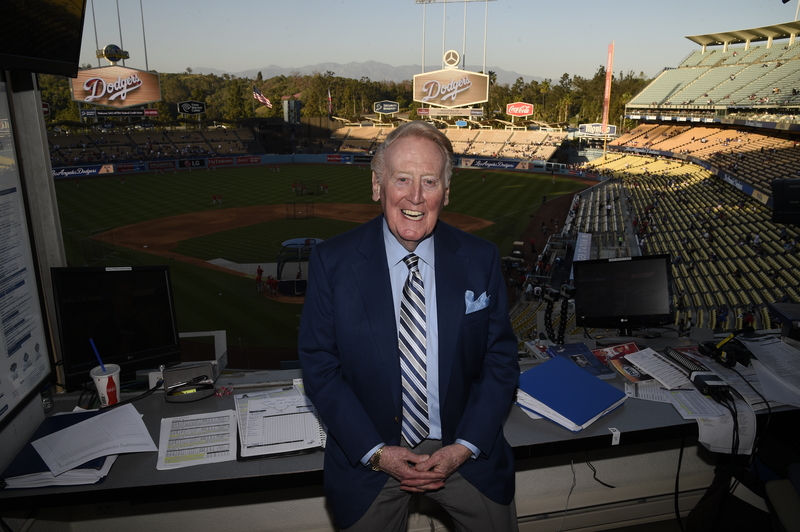 Vin Scully Avenue will be officially dedicated Monday at 11:15 a.m. with a ceremony at the corner of Stadium Way and the street formerly known as Elysian Park Avenue. The Los Angeles City Council approved the renaming of the street January 29, and following a couple of months of neighborhood processes and street beautification, the council today formalized the ordinance. 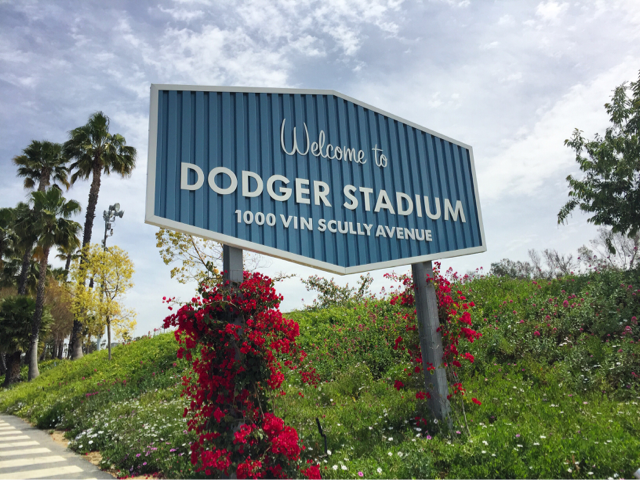 Members of the public who wish to attend should park in Lots 13/14 on Stadium Way (located just east/downhill of the main entrance to Dodger Stadium) and proceed to the entrance. Happy Opening Day everybody! Here are some Haikus for this glorious Day! Go Kid K! Go Doc! Want to hear Play Ball! “Is Time for Dodger Baseball! How sweet that sound is!! I was so looking forward to this event! The Dodgers Bloggers luncheon! Thank you Dodgers for inviting me! I had a blast! It was another beautiful day at Dodger Stadium! It was windy but that only made the day better clearing all the smog so you could see a dust of snow in the San Gabriel mountains. What was in the lunch menu are six items that will be added to the food available for 2016. All beef quarter pound dog topped off with a pineapple salsa, served on King’s Hawaiian bread. Favorite: the Gouda Kobe burger. Loved the potato bread too. Also, anything with Cotija cheese I like but I miss the sweet corn on the nachos. But everything was good. More BBQ sauce on the wings and fries please! Loved all the bread. Not pictured that I want: the Boxer shorts on Father’s Day. Thank you to all the Dodgers that helped put this especially David Siegel, Chef Jason Tingley, Janet Marie, Yvonne Carrasco and Jon who gave us a terrific tour. Go Dodgers!